A 12th grade student and the prettiest girl in the academy. Comes from the old noble of pure devils, the house of Gremory, a top-class devil who is called a genius nicknamed "Crimson Ruin Princess". Her brother is in fact one of the Yondai-Maou, Lucifer. Both of them possesses the power of destruction. 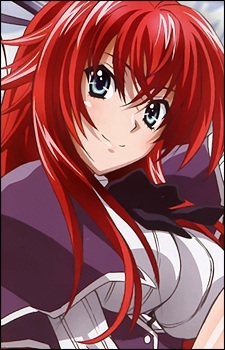 She revives Issei as her servant after finding him dead, killed by a fallen-angel and possessing a rare Sacred Gear. Kind and soft to her servants, becomes a totally different person when training or fighting.